Circle F Farms is located in Baxley, Georgia, and owned by Woody Folsom with his wife Tamela and kids Tanner and Anna Kate. 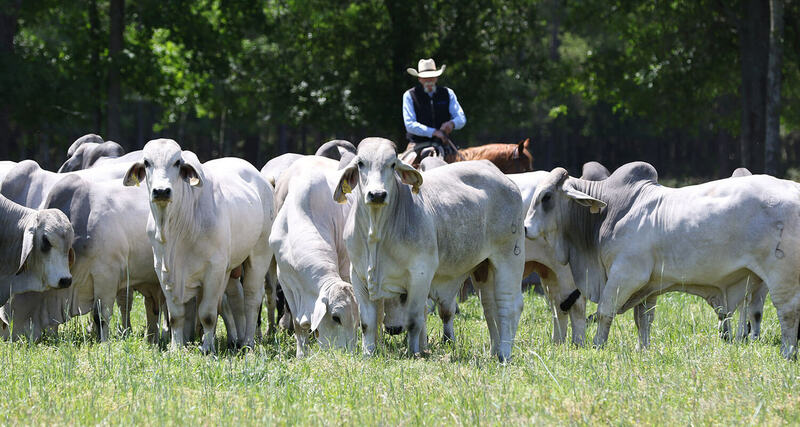 The farm consists of 2,100 acres and 400 head of Registered Brahman cattle. 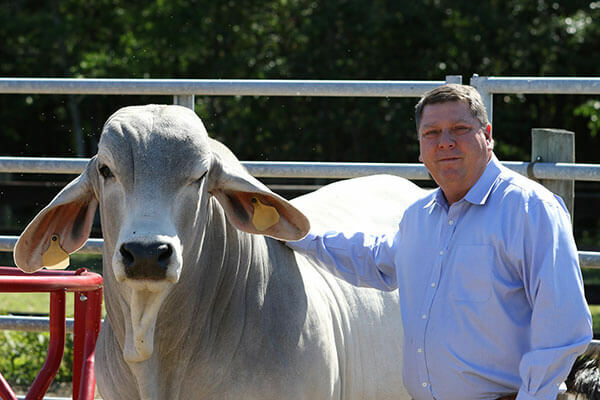 In addition to the elite Registered Brahman herd, consisting of primarily V8 Ranch & J.D. Hudgins, Inc. genetics, Circle F raises F-1 heifers out of Hereford and Angus bulls. 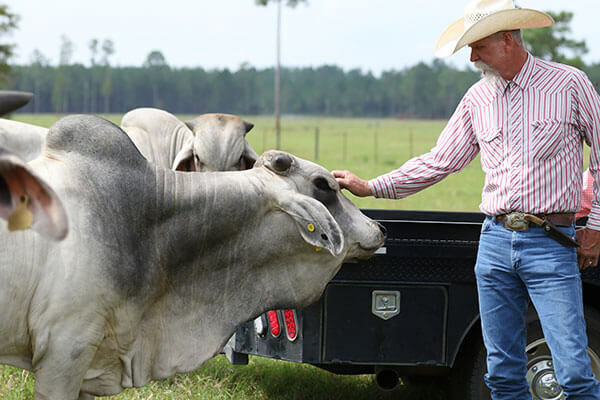 Circle F Farms has been a dream of Woody’s since he was a young child assisting his family with their cattle. Woody has always been self- driven and this determination helped him turn an after school job into the Woody Folsom Auto Dealerships that consists of seven car dealerships and a trailer dealership. Woody Folsom implements the same business approaches, intensity, vision and practical approach to Circle F Farms. Joe Eason has been the Manager of Circle F Farms since 2002. Joe is, without question, one of the most conscientious, detailed oriented and respected cattlemen in the area. We are extremely pleased to have Joe overseeing our operation and helping take us to the next level.